Cito Gaston to Help Jays Bring Back the Glory Days? Going into June 30, the Jays are three games below .500 with a 40-43 record, 10 games back in the division, and 9.5 games back in the AL wild card. But there's still lots to do to turn this ship around. Most people looking at that record would write off the season, but the Jays have a little wild card of their own. His name is Cito Gaston, and he was announced as Toronto Blue Jays manager on June 20, 2008. Cito is the man who brought the World Series to Toronto in 1992 and 1993. However, in his last three years prior to 2008 (1995-1997) Cito managed the Jays to losing records every year, and finished fifth in the division two out of those three years. A lot of people watching the World Series wins figured the Jays could've won with any manager. They were supposed to win with those teams. Now comes a real challenge for Cito Gaston and the rest of the coaching staff. They must take a team that no one involved with baseball thinks is postseason caliber, and bring them to the promised land. 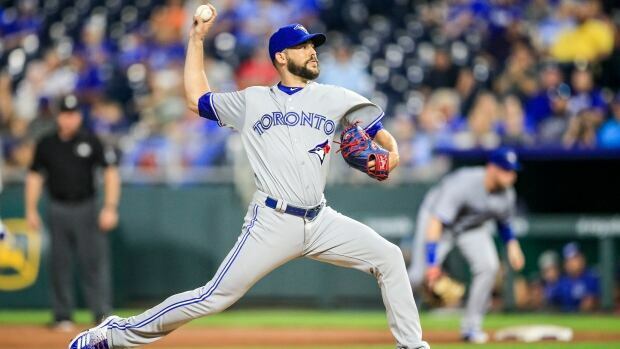 The Jays' biggest bright spot is the pitching staff, one of the best in the AL, if not the entire MLB. So it's not like there's nothing to hope for at all. It's just going to be a long few months for everyone involved in baseball north, fans included. Good luck to us all.